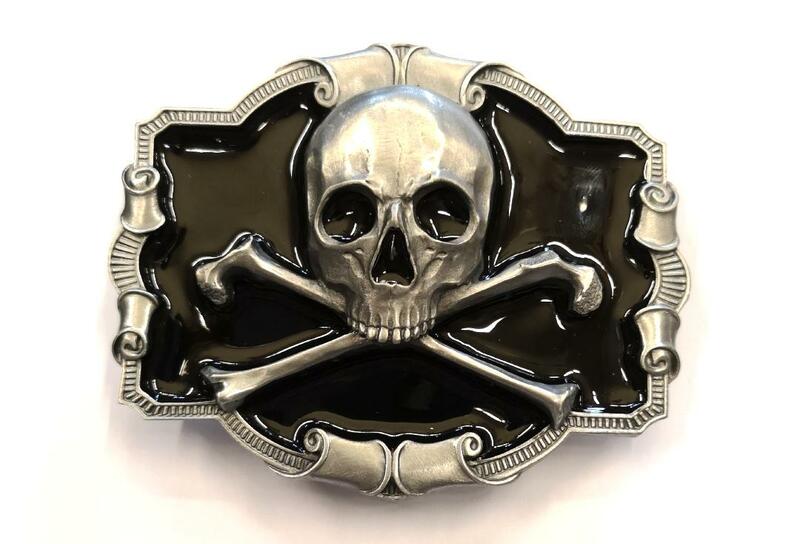 Black Skull & Crossbones Belt Buckle - A beautifully moulded belt buckle with jet black glossy enamel infill. 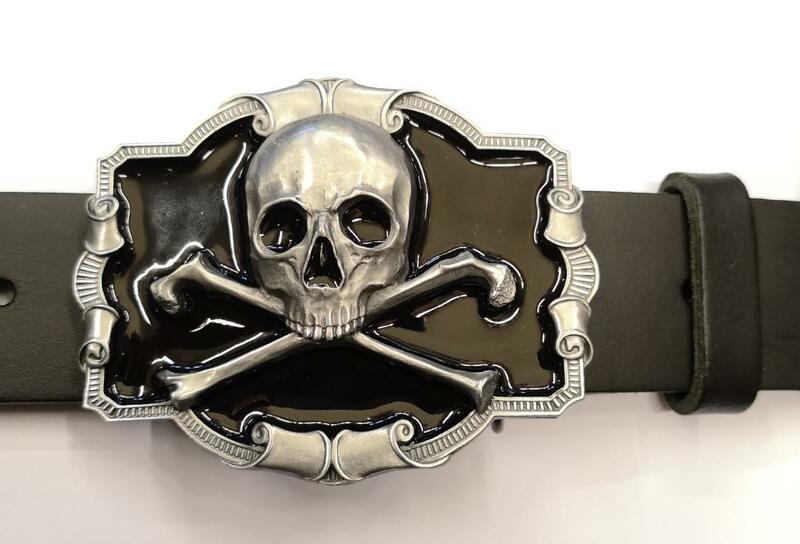 The main body of the belt buckle measures approximately 9cm x 7cm. On the back is a loop with which to attach the belt, this measures about 4.5cm wide. Also on the back is a sturdy pin which pops through the required hole in your belt to adjust to your needs. 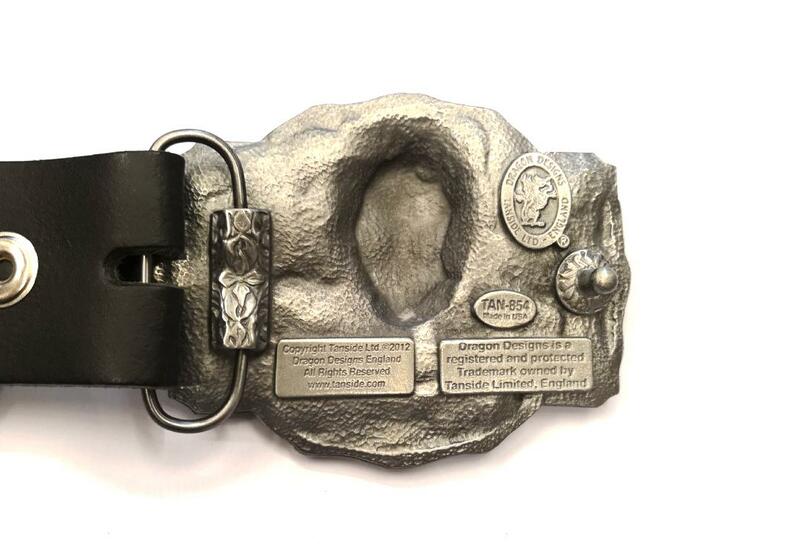 The buckles are not supplied with a buckle but will fit most belts that come with a removable buckle.